In a previous post, I talked about Lenovo servers, powered by new Intel® Xeon® Scalable processors. I covered how the combination beat previous SAP benchmarks and delivered up to 38.5 percent more query executions per hour on the SAP HANA* 2 platform compared to servers based on the previous-generation Intel® Xeon® processor E7 v4 family. I also talked about the fact that the new processors offer up to 50 percent more memory support for online analytical processing (OLAP) and online transaction processing (OLTP) workloads on the SAP HANA 2 platform. 6,578 queries per hour with 1,300,000,000 initial records on the Lenovo ThinkSystem SR950* with an Intel® Xeon® Platinum 8180 processor. Those numbers are impressive. 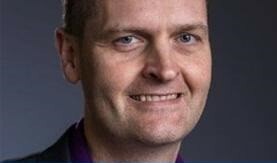 And they’re just a part of the broader benefits achieved by running the SAP HANA 2 platform on Intel Xeon Platinum processors—and the benefits of the entire line of Intel Xeon Scalable processors, which are designed for scalability, security, performance, and to take businesses into the future. You can see some of those benefits in our “Discover Breakthrough Business Performance” solution brief. If you don’t know already, the SAP HANA 2 platform is the next-generation of the SAP HANA platform. Like any new generation, it adds a variety of enhancements to the SAP HANA platform’s previous capabilities. The SAP HANA 2 platform includes enhancements for database management, data management, analytics intelligence, and application development. You can find details about the SAP HANA 2 platform on the SAP website. Anyone using the SAP HANA 1.0 SPS 10, SPS 11, or SPS 12 database can upgrade to the SAP HANA 2 platform with just a simple update; no database migration is needed. The SAP HANA 2 platform runs all SAP HANA 1.0 SPS 10, SPS 11, or SPS 12 platform–based applications unchanged. Really, there’s no reason not to upgrade. And the biggest reason to upgrade is to take advantage of the performance you can achieve with the SAP HANA 2 platform on Intel Xeon Scalable processors. Intel® processors and the SAP HANA platform evolved together—Intel provided the original reference architecture for the SAP HANA platform. That synergy is still strong today. CPU architectures from only two companies, one of which is Intel, have achieved certification in the Certified and Supported SAP HANA Hardware Directory. And with 1,206 Intel appliances, 20 Intel infrastructure-as-a-service (IaaS) platforms, and 104 Intel entry-level systems in the directory, Intel’s ability to meet the specific performance needs of any environment is practically assured. This range of options also shows that Intel architecture drives choice, differentiation, and a lower total cost of ownership in the SAP HANA ecosystem. That variety of choices is getting even broader with Intel Xeon Scalable processors for the SAP HANA 2 platform. 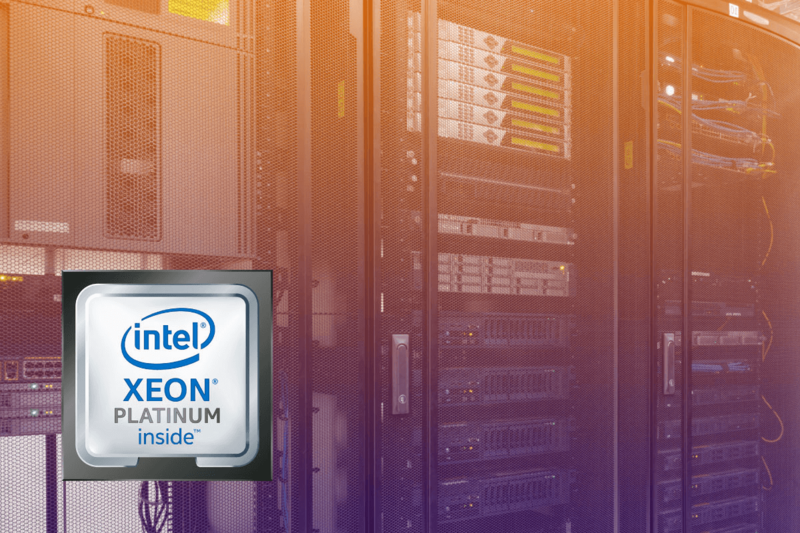 Now, almost any Intel Xeon Platinum processor, Intel Xeon Gold processor, Intel Xeon Silver processor, or Intel Xeon processor E7 v4 family-based system with eight or more sockets can be certified. Five vendors have already certified 48 systems powered by Intel Xeon Scalable processors—more than for the prior Intel Xeon processor E7 v4 family. And for customers wanting to utilize SAP HANA Tailored Datacenter Integration (TDI), even more flexibility is now available with the latest SAP TDI phase. Choice and performance are a great combination. And the recent benchmarks validate that the SAP HANA 2 platform shines on Intel Xeon Scalable processors. But what’s under that benchmark performance? That added memory support is made possible with systems that support up to eight sockets and up to 1.5 TB memory capacity per socket, for a total of up to 12 TB in an eight-socket configuration. Plus, Intel Xeon Scalable processors have an all-new microarchitecture, the Intel mesh internal microarchitecture. It’s this new microarchitecture that makes them scalable. The mesh microarchitecture has a uniform shape for all CPUs, so any CPU can fit into the same socket type. This means systems can scale from two sockets to four or eight without adding external chipsets from third parties. The new microarchitecture makes up just part of the benefits of Intel Xeon Scalable processors. A host of new and enhanced technologies engineered into the processors, such as Intel® Advanced Vector Extensions 512 (Intel® AVX-512) and Intel® Ultra Path Interconnect (Intel® UPI), add to the memory capabilities and new architecture to maximize performance, reliability, availability, serviceability, and manageability. You can read more about those technologies and the synergy between Intel Xeon Scalable processors and the SAP HANA 2 platform in our “Discover Breakthrough Business Performance” solution brief. You can also learn more about Intel Xeon Scalable processors, SAP HANA 2, and the SAP benchmark results for yourself. You might also enjoy my previous post, “The Intel Xeon Platinum Processor Is Put to the Test and Comes Out Shining,” which digs deeper into the earlier Lenovo benchmark results. And don’t forget to follow me and my growing #TechTim community on Twitter: @TimIntel. Comparing the Intel® Xeon® Platinum 8180 processor results for the SAP BW Edition for SAP HANA* (SAP BW/4HANA*) Standard Application Benchmark from June 2017 to the Intel Xeon processor E7-8894 results for the SAP BW edition for SAP HANA Standard Application Benchmark from February 2017 (See sap.com/documents/2017/02/f2732a32-a77c-0010-82c7-eda71af511fa.html or https://lenovopress.com/lp0616-x3850-x6-sapbw4hana-benchmark-result-2017-02-07). Configurations: Baseline: Lenovo System x3850 X6*, four processors, 96 cores, 192 threads, Intel Xeon processor E7-8894 v4, 2.40 GHz, 64 KB L1 cache and 256 KB L2 cache per core, 60 MB L3 cache per processor, 2,048 GB main memory for the SAP BW benchmark in February 2017; query throughput (higher is better): 4,273; query runtime (lower is better): 154; data load (lower is better): 14,939. Compared to: Lenovo ThinkSystem SR950*, four processors, 112 cores, 224 threads, Intel Xeon Platinum 8180 processors, 2.50 GHz, 1,792 KB L1 for the SAP BW/4HANA Standard Application Benchmark in June 2017; query throughput: 5,921 (38.50 percent improvement); query runtime: 143 (7 percent improvement); data load: 14,302 (4 percent improvement). SAP. “Certification 2017034 – SAP Standard Application Benchmarks.” August 2017. sap.com/about/benchmark/appbm/netweaver.sap-bw-edition-for-sap-hana-standard-application.html#pdf-asset=16663c9c-ce7c-0010-82c7-eda71af511fa&pdf-page=1. Up to 6x greater system memory supported vs. available solutions from four years ago (representing the currently installed data-center base). SAP has certified its SAP HANA® 2 platform for OLAP workloads to support up to 3 TB of memory per system for Intel® Xeon® Scalable processors for a 4-socket configuration (or 6 TB for an 8-socket configuration). Systems available four years ago (representing the typical data center installed base infrastructure) could only support 0.5 TB (or 1 TB in an 8-socket configuration), respectively. For comparative purposes, SAP certifies support for up to 2 TB of memory for the Intel Xeon processor E7 v4 family in a 4-socket configuration, so Intel Xeon Scalable processor-based systems are certified to support up to 50 percent greater system memory than the generation they replace.